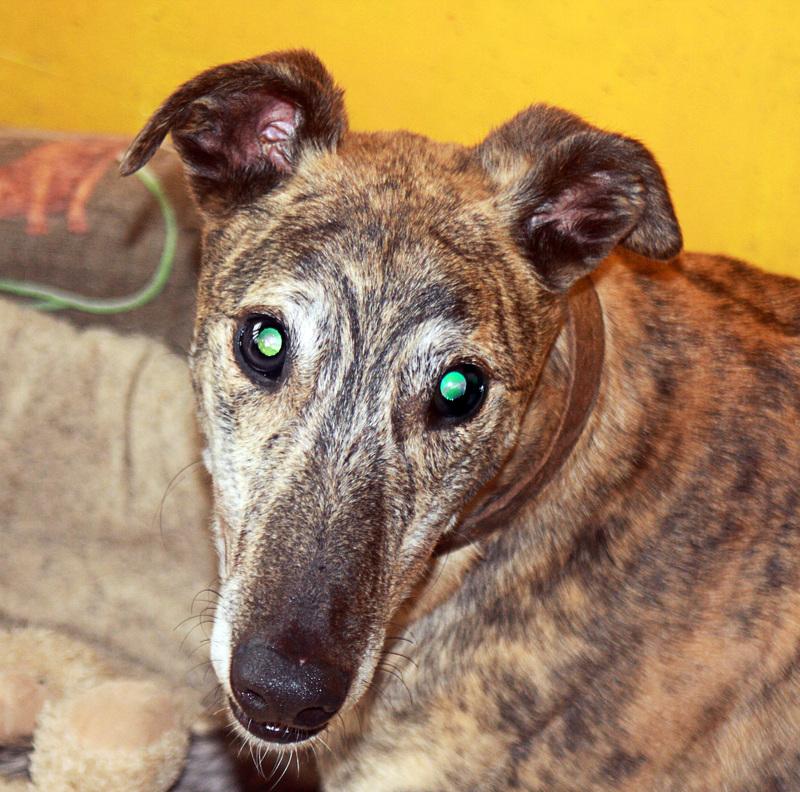 Meet Tic-Tac a stunningly and very affectionate Brindle Boy. 5 years old he loves to play and will come to get cuddles. 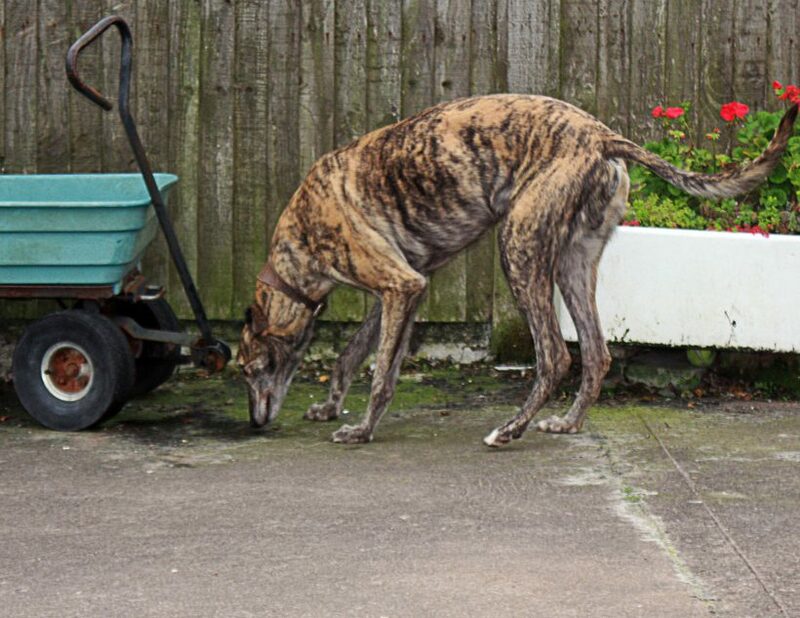 He gets on well with our other greyhounds, he enjoys trips in the car and walks well on the lead. He enjoys the company of children and if you throw a toy he bounds after it, but is unlikely to bring it back! One of his favourite games is throwing a toy into the air and catching it. He is very nosy and will stand on his hind legs searching for treats. If you are looking for a great pal that will be easy to care for and a pleasure to own, then look no further than Tic-Tac.